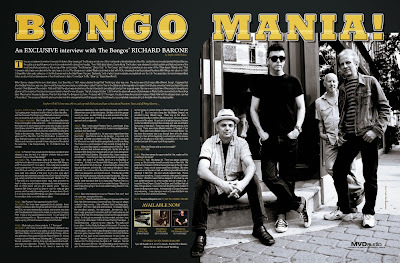 Discussions Magazine Music Blog: An EXCLUSIVE Interview with RICHARD BARONE of THE BONGOS! 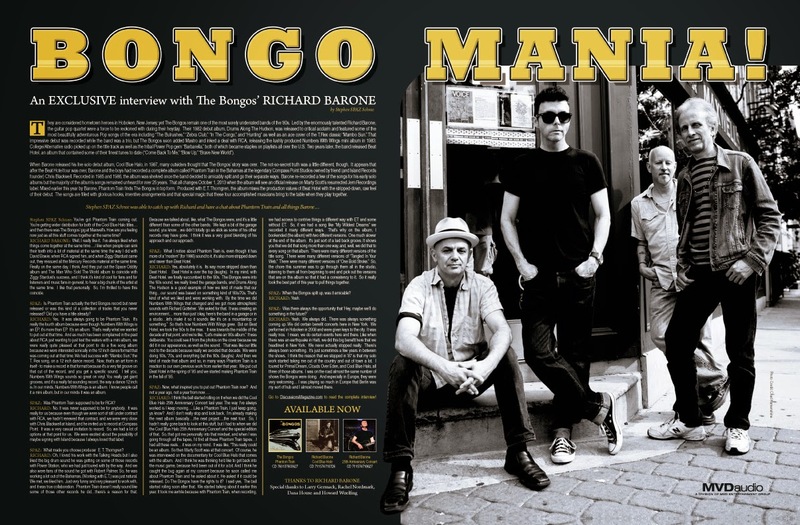 An EXCLUSIVE Interview with RICHARD BARONE of THE BONGOS! They are considered hometown heroes in Hoboken, New Jersey, yet The Bongos remain one of the most sorely underrated bands of the ‘80s. Led by the enormously talented Richard Barone, the guitar pop quartet – which also features Rob Norris (bass), Frank Giannini (drums), and James Mastro (guitar) – were a force to be reckoned with during their heyday. Their 1982 debut album, Drums Along The Hudson, was released to critical acclaim and featured some of the most beautifully adventurous Pop songs of the era including “The Bulrushes,” “Zebra Club,” “In The Congo,” and “Hunting” as well as an ace cover of the T.Rex classic “Mambo Sun.” That impressive debut was recorded while the band was a trio, but The Bongos soon added Mastro and inked a deal with RCA, releasing the lushly produced Numbers With Wings mini album in 1983. College/Alternative radio picked up on the title track as well as the tribal Power Pop gem “Barbarella,” both of which became staples on playlists all over the U.S. Two years later, the band released Beat Hotel, an album that contained some of their finest tunes to date (“Come Back To Me,” “Blow Up,” “Brave New World,” and “Space Jungle” to name a few). After touring the album, The Bongos stepped away from the limelight and seemingly faded from view. When Barone released his live solo debut album, Cool Blue Halo, in 1987, many outsiders thought that The Bongos’ story was over. The not-so-secret truth was a little different, though. It appears that after the Beat Hotel tour was over, Barone and the boys had recorded a complete album called Phantom Train in the Bahamas at the legendary Compass Point Studios owned by friend (and Island Records founder) Chris Blackwell. Recorded in 1985 and 1986, the album was shelved once the band decided to amicably split and go their separate ways. Barone re-recorded a few of the songs (“River To River,” “I Belong To Me,” “Roman Circus,” and “Tangled In Your Web”) for his early solo albums but the majority of the album’s songs remained unheard for over 25 years. That all changes October 1, 2013 when the album will see an official release on Marty Scott’s resurrected Jem Recordings label (the original home of Drums Along The Hudson). Mixed earlier this year by Barone, Phantom Train finds The Bongos in top form. Produced with E.T. Thorngren, the album mixes the production values of Beat Hotel with the stripped-down, raw feel of their debut. The songs are filled with glorious hooks, inventive arrangements and that special magic that these four accomplished musicians bring to the table when they play together. With the release of Phantom Train, Jem’s distributor, MVD is also making two special Barone titles widely available to retail/e-tail – the digitally remastered and expanded Cool Blue Halo release as well as the Cool Blue Halo: 25th Anniversary Concert three disc (2CD + DVD) set, which finds Richard reuniting with the musicians that he played with on Cool Blue Halo (Jane Scarpantoni, Valerie Naranjo and Nick Celeste) plus guest appearances from Garth Hudson and Tony Visconti. With the release of these three titles plus The Bongos playing the final night of famed Hoboken nightclub Maxwell’s, it seems that fans are experiencing Bongomania all over again! Stephen SPAZ Schnee: You’ve got Phantom Train coming out. You’re getting wider distribution for both of the Cool Blue Halo titles… and then there was The Bongos’ gig at Maxwell’s. How are you feeling now just as all this stuff comes together at the same time? 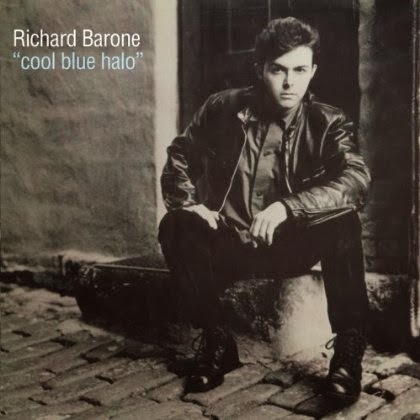 RICHARD BARONE: Well, I really like it. I’ve always liked when things come together at the same time….I like when people can sink their teeth into a lot of material at the same time the way I did with David Bowie, when RCA signed him, and when Ziggy Stardust came out, they reissued all the Mercury Records material at the same time. Really on the same day, I think. And they put out the Space Oddity album and The Man Who Sold The World album to coincide with Ziggy Stardust’s success, and I think it’s kind of cool for fans and for listeners and music fans in general, to hear a big chunk of the artist at the same time. I like that personally. So, I’m thrilled to have this coincide. 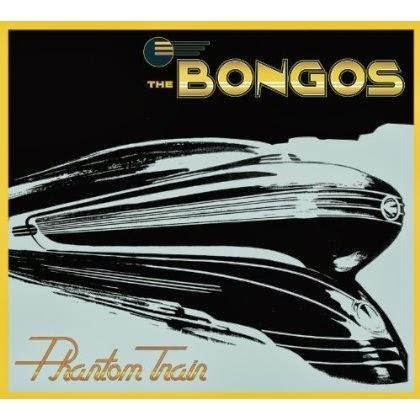 SPAZ: Is Phantom Train actually the third Bongos record but never released or was this kind of a collection of tracks that you never released? Did you have a title already? RICHARD: Yes. It was always going to be Phantom Train. It’s really the fourth album because even though Numbers With Wings is an EP, it’s more than EP. It’s an album. That’s really what we wanted to put out at that time. And as much has been complained in the past about RCA just wanting to just test the waters with a mini album, we were really quite pleased at that point to do a five song album because we were interested sonically in the 12 inch dance format that was coming out at that time. We had success with “Mambo Sun,” the T. Rex song, on a 12 inch dance record. Now, that’s an art form in itself - to make a record in that format because it’s a very fat groove on that cut of the record, and you get a specific sound. I tell you, Numbers With Wings sounds so great on vinyl. You really get giant grooves, and it’s a really fat sounding record, the way a dance 12 inch is. In our minds, Numbers With Wings is an album. I know people call it a mini album, but in our minds it was an album. SPAZ: Was Phantom Train supposed to be for RCA? RICHARD: No. It was never supposed to be for anybody. It was really for us because even though we were sort of still under contract with RCA, we hadn’t renewed that contract, and we were very close with Chris Blackwell at Island, and he invited us to record at Compass Point. It was a very casual invitation to record. So, we had a lot of options at that point for us. We were excited about the possibility of maybe signing with Island because I always loved that label. SPAZ: What made you choose producer E. T. Thorngren? RICHARD: Oh, I loved his work with the Talking Heads but I also liked the big drum sound he was getting on some of those records with Power Station, who we had just toured with by the way. And we also were fans of the sound he got with Robert Palmer. So, he was working a lot out of the Bahamas. (Working with E.T.) was just natural. We met, we liked him. Just very funny and very pleasant to work with, and it was true collaboration. Phantom Train doesn’t really sound like some of those other records he did…there’s a reason for that. Because we talked about, like, what The Bongos were, and it’s a little different than some of the other bands. We kept a bit of the garage sound, you know…we didn’t totally go as slick as some of his other records may have gone. I think it was a very good blending of his approach and our approach. SPAZ: What I notice about Phantom Train is, even though it has more of a “modern” (for 1986) sound to it, it’s also more stripped down and rawer than Beat Hotel. RICHARD: Yes, absolutely it is. Its way more stripped down than Beat Hotel. Beat Hotel is over the top (laughs). In my mind, with Beat Hotel, we finally succumbed to the ‘80s. The Bongos were into the ‘60s sound, we really loved the garage bands, and Drums Along The Hudson is a good example of how we kind of made that our thing…our sound was based on something kind of ‘60s/70s. That’s kind of what we liked and were working with. By the time we did Numbers With Wings that changed and we got more atmospheric sounds with Richard Gotteher. We asked for that. It was creating an environment… more than just ‘okay, here’s the band in a garage or in a studio…let’s make it so it sounds like it’s on a mountaintop or something.” So that’s how Numbers With Wings grew. But on Beat Hotel, we took the ‘80s to the max. It was towards the middle of the decade at that point, and we’re like, “Let’s make an ‘80s album.” It was deliberate. You could see it from the photos on the cover because we did it in our appearance, as well as the sound. That was like our little nod to the decade because really we avoided that decade. We were doing ‘60s, ‘70s, and everything but the ‘80s. (laughs) And then we kind of made that album and so, in many ways Phantom Train is a reaction to our own previous work from earlier that year. We put out Beat Hotel in the spring of ’85 and we started making Phantom Train in the fall of ’85. SPAZ: Now, what inspired you to put out Phantom Train now? And not a year ago, not a year from now…. RICHARD: I think the ball started rolling on it when we did the Cool Blue Halo 25th Anniversary Concert last year. The way I’ve always worked is I keep moving…..Like a Phantom Train, I just keep going, ya know? And I don’t really stop and look back. I’m already making the next album basically….the next project….the next tour. So, I hadn’t really gone back to look at this stuff, but I had to when we did the Cool Blue Halo 25th Anniversary Concert and the special edition of that. So, that got me personally into that mindset, and when I was going through all the tapes, I’d find all these Phantom Train tapes…I had all these reels… it was on my mind. It was like, “This really could be an album. So then Marty Scott was at that concert. Of course, he was interviewed on the documentary for Cool Blue Halo that comes with the album. And I think he was thinking he’d like to get back into the music game, because he’d been out of it for a bit. And I think he caught the bug again at my concert because he soon called me about Phantom Train and he asked about it. He asked if it could be released. Do The Bongos have the rights to it? I said yes. The ball started rolling soon after that. We started talking about it earlier this year. It took me awhile because with Phantom Train, when recording, we had access to contrive things a different way with ET and some without ET. So, if we had a song like “My Wildest Dreams” we recorded it many different ways. That’s why on the album, I bookended (the album) with two different versions. One much slower at the end of the album. It’s just sort of a laid back groove. It shows you that we did that song more than one way, and, well, we did that to every song on that album. There were many different versions of the title song. There were many different versions of “Tangled In Your Web.” There were many different versions of “One Bold Stroke.” So, the chore this summer was to go through them all in the studio, listening to them all from beginning to end and pick out the versions that are on this album so that it had a consistency to it. So it really took the best part of this year to pull things together. SPAZ: When the Bongos split up, was it amicable? SPAZ: The whole thing about Cool Blue Halo… there’s a warmth on this remastered version that I don’t remember the vinyl having. RICHARD: I agree with you 100%. This is the best mastering we ever done on this album. There’s a lot of reasons for it. I work very closely, I’ve worked with Steve Addabbo for the last few years on these re-issues. He was originally a master engineer at Sterling Sound, which is where we did the original Cool Blue Halo with Greg Calbi. I produce other artists, so for the last two years I’ve been taking them to Steve’s Shelter Island sound studio in New York, which I really love. Ironically, the gear that is in that studio was all purchased from the studio where the Bongos first recorded “Mambo Sun” and “in The Congo” in 1981. It was a studio called Celestial Sound. So that gear was from the height of the ‘70s… and ‘70s recording technology, even though it was clunky and awkward and not as easy as digital, it was the best sounding gear ever created to record. That’s why those ‘70s records are still the most listened to. I’m talking about the Bowie albums….the ones that people love. Those are ‘70s sounds. Now, this studio, Steve bought the gear from this studio that was closing down, and he has rebuilt it. He has installed it in his modern studio, but the heart of the studio is the gear I just described to you. So we were able to run Drums Along The Hudson through all that stuff, which was perfect because that’s what we recorded some of it on anyway. And then also for Cool Blue Halo and I mastered Phantom Train with him. That’s why Cool Blue Halo is the best mastering we’ve done so far, and Phantom Train also has that warmth to it. RICHARD: Yeah. It was intentional. 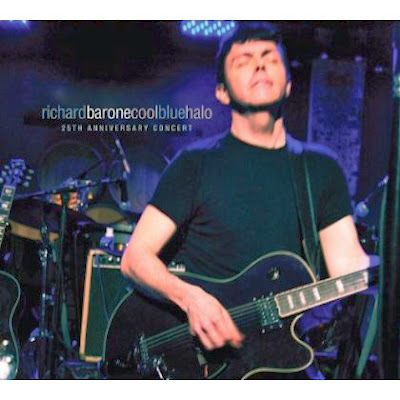 SPAZ: What’s next for Richard Barone? RICHARD: Well, there is always something going on. I’m always on the road doing shows, but what I’m doing now – I’m collecting new material...I worked with Pete Seeger in 2010 and produced a single for Pete and got to spend some time with him and talk with him. I’ve written some songs about certain things I’d like to record that are inspired by my conversations with Pete and his theories about songs. I have worked with a lot of great artists - not just Pete, but Donovan and so many others…lately Al Jardine of The Beach Boys. I’d like to do an album that opens the door to a lot of those to be guests with me. Not in a formal duet kind of way, but just in a very natural way. I don’t really have a lot of guests on my albums, usually. But, this time I’d like to… And I’d like to do a second book. I think the Frontman book ends at a certain place and there’s been a lot since then. That came out like five years ago. Since that time, I’ve done other things. I think the Frontman story can continue in another book.